The International Yoga Festival is organized in partnership with the AYUSH Ministry, Government of India. In the 7-day immersion and celebration, you have the opportunity to embrace every major style of yoga and learn from enlightened Spiritual Leaders, Master Yoga Teachers, Evolutionary Thought Leaders, and Wellness Specialists from around the world. 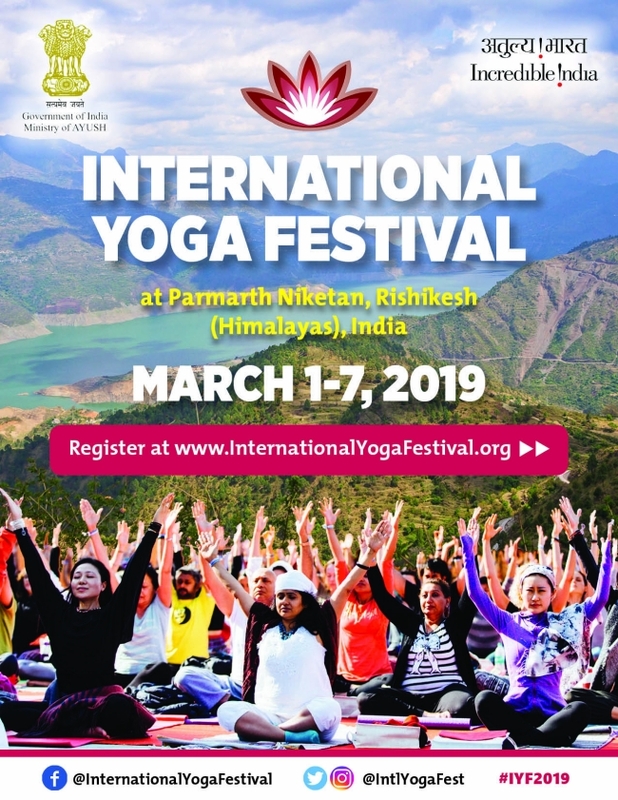 Awaken to the best version of yourself and ignite your inner light through this not-to-be-missed event at Parmarth Niketan Ashram, the largest ashram in Rishikesh and one of the largest interfaith yoga institutions in India. The programme offers an extensive schedule of possibility, starting with Kundalini sadhana at 4 a.m. for the intensely committed and ending at 9:30 pm with traditional cultural song and dance, kirtan and enlightened entertainment on the banks of Ganga. You can customize each day as per your personal needs.